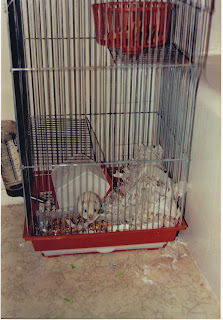 When I worked at Microsoft from 1988 to 1992, I kept a gerbil in my office for a while. Some events in the fictional book Microserfs: A Novel are probably loosely based on me. The gerbil was named Peeve. Late at night, while I was programming, I'd put him in a clear plastic ball and let him go down the halls on his own exploring. He'd go down one hall, then come back, then go down another way a little further each time. 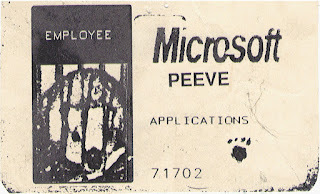 I used to walk around the Microsoft halls with Peeve on my shoulder. There was a person who was terrified of rodents. She would dive into the nearest office if she saw me coming with Peeve. 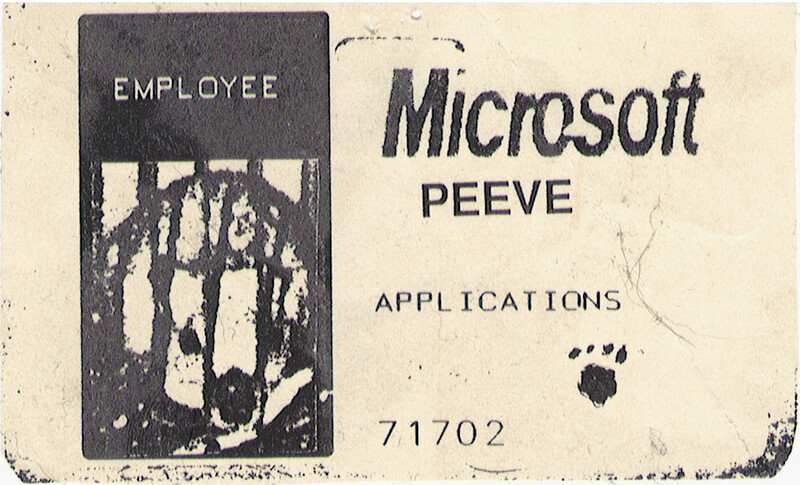 Once, a film crew was interviewing random employees for some company event that was coming up. They stopped to talk to me while I had Peeve on my shoulder. I told them I was the project lead for the new Microsoft mouse. 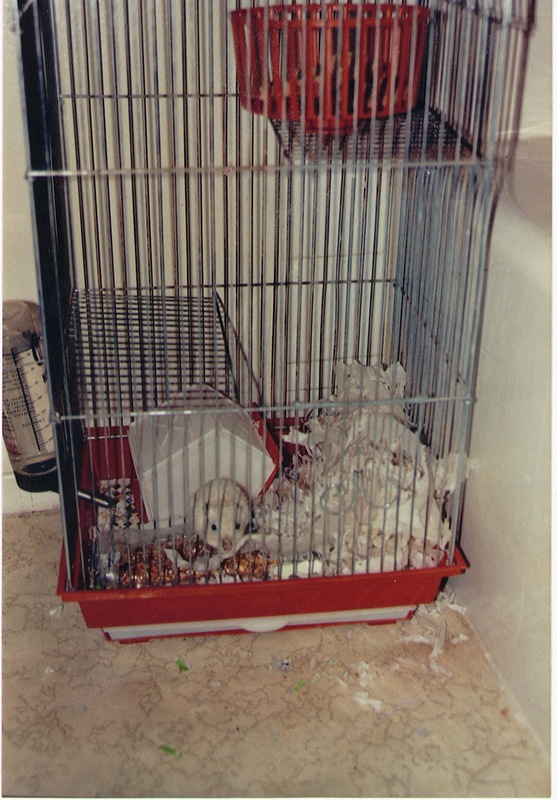 Peeve sadly died at about four years of age, a typical lifespan for a gerbil.